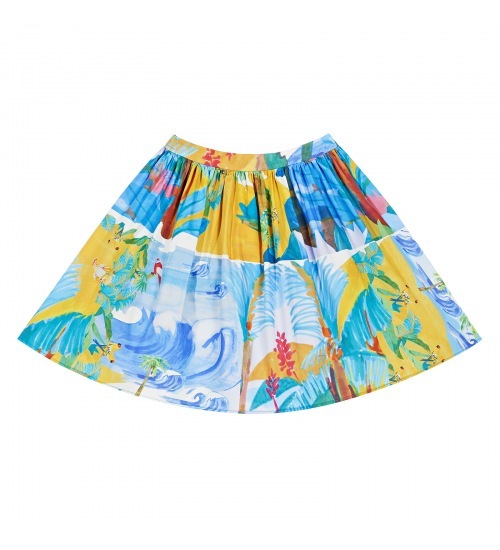 High-waisted cotton skater skirt with elastic back waistband. Zipper (YKK) closure on the side. Beach scenes print all over. One of a kind. Numbered serie. The name of this artwork is "La Plage".